Sometimes two unlikely people make the best of friends. A sleepy town on the coast of Maine is the last place where thirteen-year-old Manuel wants to spend his summer. He'd give anything to be back in New Haven, with the greatest pizza in the world and a twelve-theater Cineplex around the corner from his house. 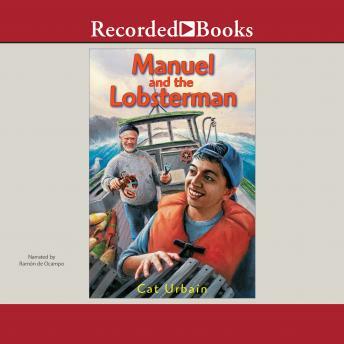 So far, the only thing that Manuel has found to do is watch Zeke, a cranky old lobsterman, unload his boat. Manuel soon discovers that even sleepy New England towns can bring trouble. In a twist of fate, Manuel's future hinges on Zeke, who has a big secret that could yield a lot of money if he and Manuel can make it to an island and a lagoon filled with "black gold." This fast-paced adventure features two unforgettable characters and a plot that grabs the reader at every turn.